We are delighted to unveil the fantastic progress being made at Hall Court, Telford. 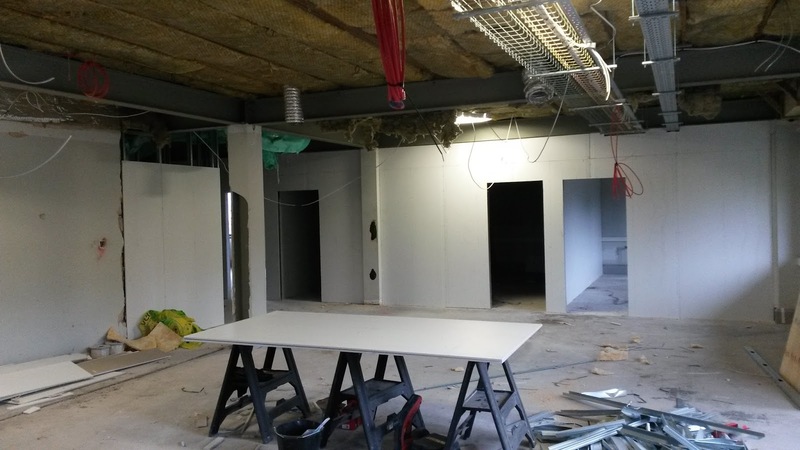 With the internal strip out of former office space now fully complete, re-fit works are now well underway. 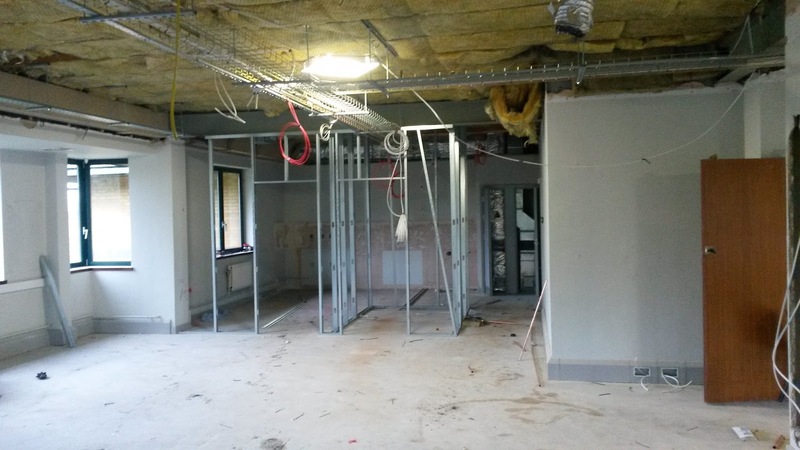 New ventilation and duct work has now commenced, alongside the installation of stud partitions. Second floor boarding is now complete, as is first fix electrical wiring including dado trunking. The coming weeks will see first fix carpentry works commence, as well as plastering and the installation of door frames. Floor and decoration prep work will also begin, while partition works will continue to progress across all three floors. This extensive refurb project involves the complete internal strip out and re-fit of 17,000 sq ft of office accommodation. Once completed, this property will be occupied by the NHS Trust.